When the characters of the hit movie Crazy Rich Asians travel, what do they use? While the books and movie offer clues, we recommend jets that the characters might like. In 2013, Kevin Kwan published Crazy Rich Asians, which became a bestseller worldwide. It is the story of a handsome Chinese Singaporean bachelor living in New York (Nicholas Young) who invites his Chinese American girlfriend (Rachel Chu) home to meet his family and friends. Until this trip, Rachel assumed that Nicholas was from middle class means given his modest lifestyle in New York. Rachel had no conception that her boyfriend descended from one of Singapore’s “crazy rich” families and that his family members, as well as aspiring fiancées (and their mothers), would go to crazy extremes to prevent her from becoming Mrs. Nicholas Young. The novel – and the two follow-up books in the series – was such a huge hit that Hollywood quickly greenlit an adaptation set for an August 2018 release. The first Hollywood movie in a long while with an all-Asian cast, the movie looks to be a hit, judging by the anticipation and publicity surrounding it, with people all over the world anticipating the release. 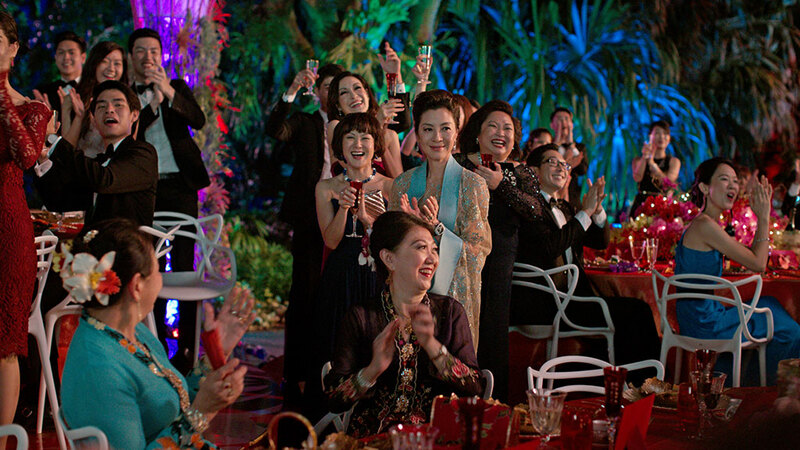 The trailer for Crazy Rich Asians was viewed millions of times in its first week of release on YouTube. On hindsight, the popularity of the novel and the movie is not that surprising. We all love a fairy tale, after all. And if that fairy tale is full of madcap characters and their life of excess, then all the more entertaining. In the novel, characters buy up exclusive hotels on a whim, travel to exotic locales in their private jets, buy artwork and couture collections just because, well, they can. For several characters without their own jet, we imagine what their conveyances might be like should they choose to acquire or charter one. Annual trips from Singapore to London, Milan and Paris for the Fashion Week shows where she typically acquires couture clothes totaling millions of dollars to accompany her home. We presume first class in commercial air carriers. Astrid’s family would like her to take more security-related precautions; when it comes to travel (and cars) she has quite modest taste. A private jet charter that will give her the privacy she craves, and has the impeccable service she needs – like OJets. Astrid is frequently referred to as “The Goddess” for her combination of beauty, grace, and style. She’s the envy of Singapore’s fashionista set for her impeccable taste in clothes. She doesn’t really dress to impress, but ends up looking chicer than anyone in the room, anyway. While she buys haute couture garments costing millions of dollars, she also shocks acquaintances with her choice of off-the-rack Zara clothes. Equally shocking is that Astrid chooses to travel via commercial airlines even though her net worth is in the billions. Given this, a private jet charter service such as OJets would be a great option for her. Ojets will allow her to keep a low profile and bring along a personal protection officer if she needs it. 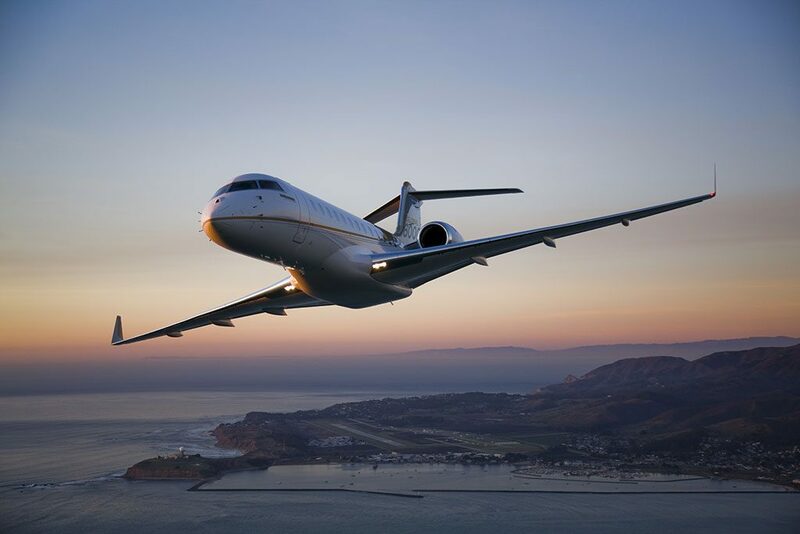 This Singapore-based charter service offers a range of aircraft, including the Bombardier Global 6000, which, with a range of 6,000 nm, is enough to fly nonstop between Singapore and Paris. Given the long-distance capability of the Global 6000, Bombardier emphasised comfort in their design. When it is time for rest, the cabin can quickly be made into five beds. During wake hours, fast Wi-Fi, satellite telephone and onboard entertainment would help Astrid pass the time quickly. The Global 6000 has room for 10 medium-sized suitcases plus sporting equipment such as skis and golf clubs. Astrid could be certain that her purchases would be handled with the utmost care from a Paris fashion runway to Seletar runway 03-21. Ojets also provides excellent service onboard. Should she want it, she can request Michelin-starred meals to be catered onboard or a bottle or two of the best Champagne. Low-key luxury is what Ojets offers. Perhaps best of all, OJets provides comprehensive jet management services. Should Astrid decide to acquire her own jet, she would be assured that it will be ready for takeoff with a simple phone call, email, or WhatsApp message. Monthly trips throughout Southeast Asia and China, primarily in support of the family’s growing real estate business. As the Gohs add several more billions into the family coffers, a private jet would telegraph their success and allow them to customise their aircraft in the family’s traditional gold motif. When heroine Rachel Chu wanted to fly from Singapore to China via a commercial airline, her best friend from Singapore, Peik Lin Goh, successfully talked Rachel into using the Goh family’s NetJets membership based on “convenience” (to put it politely – her actual thoughts are a bit rawer in line with Peik Lin’s brash personality). 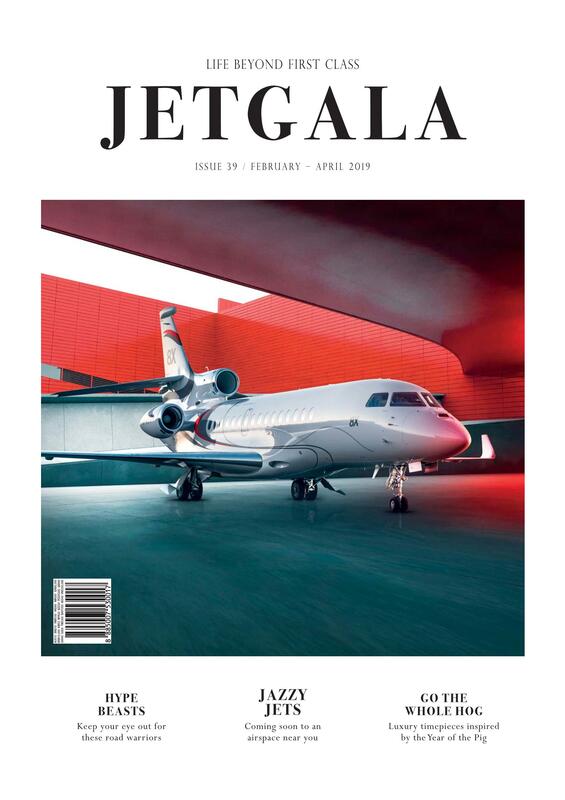 The Goh family’s NetJets membership has served them well but the Gohs aspire to achieve the next level of social status – one’s own private jet. They also have an insatiable penchant for gold, illustrated to great effect in their family home. The Goh family home, named Villa d’Oro (what else would it be named? ), welcomes guests with a “four-tiered marble fountain with a golden swan spouting water from its long-upturned beak.” Inside, gold is everywhere such as the ceiling with “layers upon layers of gold leaf.” Even the family’s pets are chosen with purpose – three “golden-haired Pekingese” dogs. 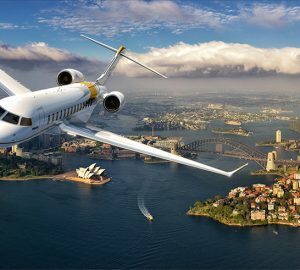 A Goh family private jet would likely be an extension of their home, proving to all who are fortunate enough to set foot in it that the Gohs have achieved a new level of wealth. Their private jet would undoubtedly be christened Jet d’Oro. 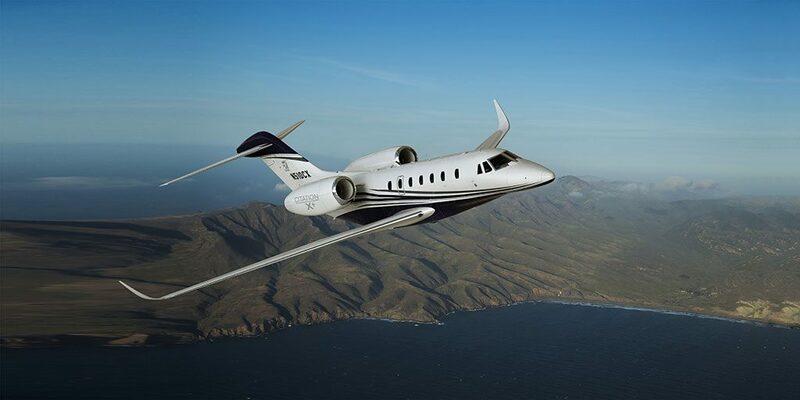 A Cessna Citation X would be an excellent option for the Gohs. As a large midrange jet, their Citation X would command respect for its ramp presence and its performance. With a range of 3,460 nm, Jet d’Oro would be more than sufficient for nonstop flights to China, South Asia, and western Australia. 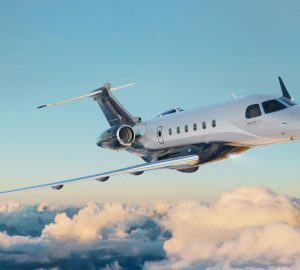 Moreover, having the Jet d’Oro would give the Gohs bragging rights because the Citation X is known for its near-supersonic speed of Mach 0.935. This is essential for the scion of an ultra- rich family and his girlfriend. If nothing else, it signifies understated status. Since they have friends and family around the world, they need a jet with range but is built for comfort. 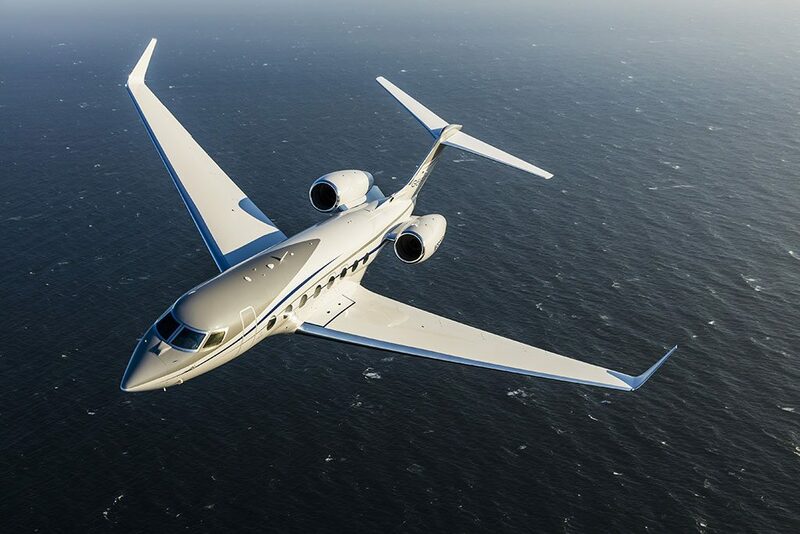 If the Youngs should acquire their own jet, they would do well to select the Gulfstream G650ER. ER is short for “extended range” as the G650ER is capable of flying 7,500 nm nonstop. The couple would likely depart New York to the east (taking advantage of the jet stream) and make a stop in Europe before continuing onward to Singapore. Nicholas and Rachel have a sensible, modest sense of style. They are far more interested in comfort than impressing others. Their G650ER’s livery would be tasteful but low-key, so as to give no clue whatsoever as to its owner – a family trait ingrained in Nicholas from an early age. A guest stepping aboard their G650ER would feel right at home because it is comfortable – like a family room or a home study. To keep connected with the news, friends and family, Nicholas and Rachel would appreciate the high-bandwidth Internet access available on their personal devices, from anywhere in the cabin. They would be able to see how some of their relatives are showing off on social media. Unlike typical commercial airline Internet connectivity, Nicholas and Rachel could stream movies or TV shows on Netflix and or chat with friends and family via FaceTime. 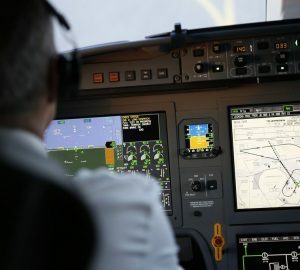 Onboard their G650ER, Nick and Rachel’s personal devices could double as cabin controls so they could optimise their environment such as the temperature, lighting, and even window shades. One environmental benefit of the G650ER is its low cabin altitude. Set to just 4,500 feet (about half of a typical commercial aircraft), Nicholas and Rachel would arrive feeling more refreshed and hydrated. Given such long flight times, Nicholas and Rachel would appreciate the ability to retire to their stateroom for sleep on a bed made up to be as comfortable as their New York home. Up front, the pilots and cabin attendants would have a place to relax as well.